Bowser has escaped the Mushroom Kingdom and is now in the real world. To make matters worse, he has kidnapped Mario. You will have to explore exotic cities by navigating the streets with only a map and compass. If you find some friendly people, they may provide you with clues to Bowser's location. When you come across a famous landmark, there are pamphlets to read, plus you can retrieve additional information from a computer database. Be sure to take some snapshots to remember the trip. 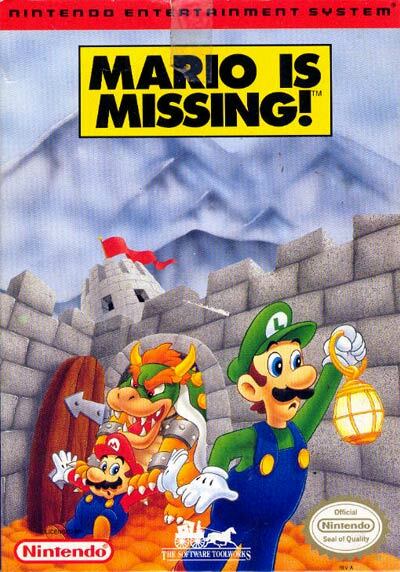 See if you have enough geography knowledge to rescue Mario in MARIO IS MISSING!